1 Million Visits… A Big Milestone For LCO… Thanks! 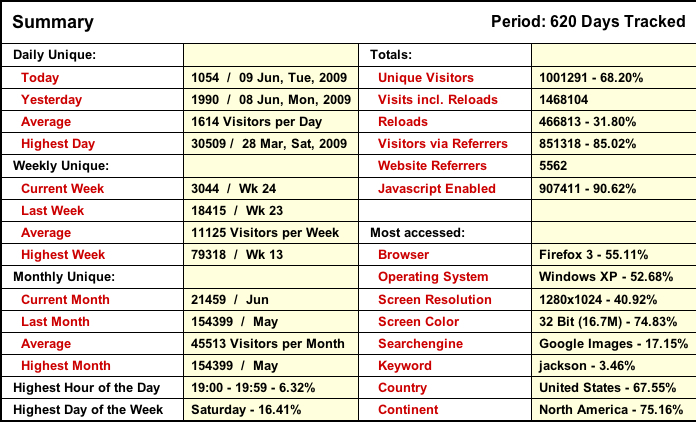 Sometime between 11pm and midnight on June 8th, 2009… Los Cuatro Ojos dot com welcomed it’s 1 millionth unique visitor. 620 days ago… We had a grand total of 17 readers. Thanks for stopping by!